Look lively! 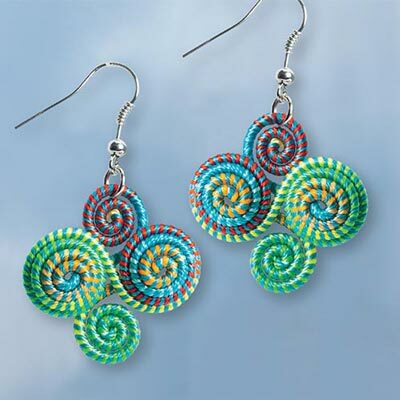 Our artisan-made Woven Swirl Earrings feature a woodland color palette and a playful swirl motif. Handcrafted of thread-wrapped coils; each pair is totally unique. French wires. 2"l.